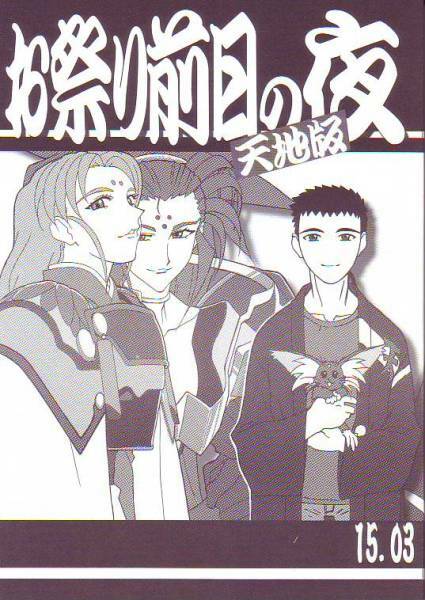 Potential Tenchi Muyo! Ryo-ohki OVA 4 news! Posted on Sunday, March 29th, 2015 at 22:55. One of the things that I’m still asked to this day is, “Will there be a Tenchi Muyo! 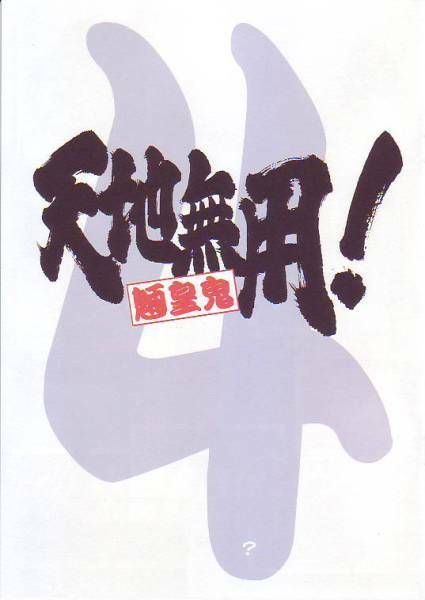 Ryo-ohki OVA 4 series made?” My answer has always been based on Kajishima-sensei’s AIC interview from way back (no longer on the web…I should post it) where he said he didn’t know what OVA 4 would be about since OVA 3 wrapped up the story of Tenchi. However, in more recent times, Kajishima-sensei’s -If- doujinshi have shown what an OVA 4 could be about, so if there is one, I think that’s what it would be. I get word today from a ton of sources that there’s a new Kajishima Onsen doujinshi out (Kajishima Onsen 15.03). Here are the covers. Now, before anyone gets too excited, we don’t know much other than there is a lot of excited buzz coming from Japan. There are no scans yet. We don’t think this is an official announcement, more that it is news that the possibility of OVA 4 has suddenly grown. I still think that if OVA 4 comes about, it will be based on what we’ve seen from the -If- doujinshi titles. Day in the life of Tenchi’s household is the kind of stories Kajishima-sensei loves to tell. Whether he also decides to show Kenshi’s training for War on Geminar is another guess. If more info comes up, I’ll post it.